CALL (866) 979-6960 We make buying a Subaru easy! Structure My Deal tools are complete — you're ready to visit Shingle Springs Subaru! Looking for a midsize sedan can be difficult--after all, there are so many options. The 2018 Subaru Legacy is an excellent choice, but how does it stack up to the competition? Keep on reading to find out how the 2018 Subaru Legacy compares to the 2018 Chevy Malibu. When you're ready to schedule your test drive, give us a call or use our online form, then head to 4045 Wild Chaparral Drive, Shingle Springs, CA 95682. We look forward to helping you find your next Subaru at Shingle Springs Subaru! 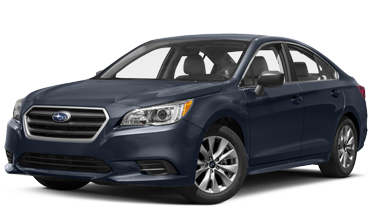 One look at the 2018 Subaru Legacy and you can tell that it's truly a high-quality car. Its design is sleek and dynamic without being overly showy. Instead, it keeps a classy look. You and your passengers will have more room in the 2018 Subaru Legacy, which has 104.6 cubic feet of cargo volume compared to the 102.9 cubic feet of the Malibu. In addition, the 17-inch wheels on the 2018 Subaru Legacy are larger than the 16-inch wheels on the Malibu, and the entry-level Legacy has more available features than the entry-level Malibu offers (including splash guards and fog lights). When it comes to performance, the 2018 Subaru Legacy is the clear choice. 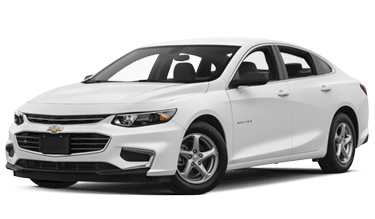 At 175 horsepower, its engine is much more responsive than that of the 160-hp 2018 Chevy Malibu. In addition, the engine in the Legacy is a SUBARU BOXER®, so its horizontally opposed design gives it better balance and a lower center of gravity. Every 2018 Subaru Legacy is equipped with Symmetrical All-Wheel Drive--that Malibu, on the other hand, is front-wheel drive only. This means that the 2018 Subaru Legacy can go places that the Malibu simply can't. The Symmetrical All-Wheel Drive that comes with the 2018 Subaru Legacy is more than just a performance feature: it's also an important safety feature. It means that you can more easily stay in control of the 2018 Subaru Legacy, even when road conditions are less than ideal. And while the 2018 Chevrolet Malibu earned the Top Safety Pick rating from IIHS, the 2018 Subaru Legacy earned the even more prestigious Top Safety Pick+. While IIHS gave the Malibu a rating of "Marginal" on the passenger-side small overlap front crashworthiness test, a rating of "Poor" on the headlights, and a rating of "Marginal" on the ease of use of the child seat anchors, the 2018 Subaru Legacy received ratings of "Good" (the highest possible rating) on all these categories! Subaru vehicles are more than just cars; they're the perfect companion for getting around California! With standard Symmetrical All-Wheel Drive, Subaru cars and crossover SUVs can handle all kinds of terrain with ease. What's more, Subaru is known for its high quality--in addition to numerous industry awards, 98% of Subaru models sold within the past ten years are still on the road today. Innovative safety features like Subaru EyeSight® Driver Assist Technology mean that you can set your mind at ease and know that you and your passengers will be safe. Perhaps one of the most distinctive things about Subaru is that they work hard to make the world a better place. Subaru continues to work hard by donating time and resources to help people, communities, pets, and the earth. We look forward to helping you find the Subaru that's just right for you at Shingle Springs Subaru!